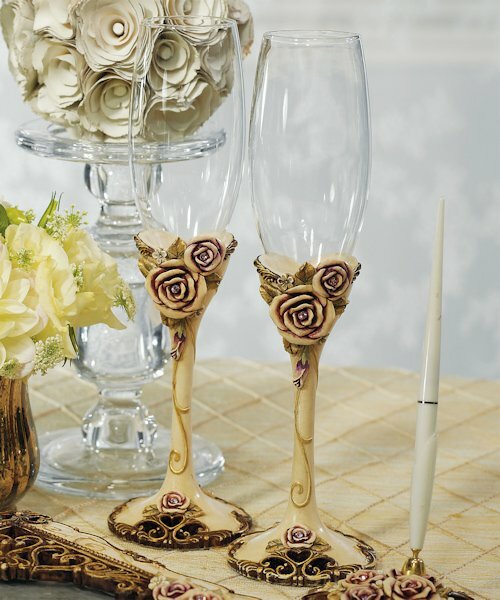 Honor tradition with the Elegant Vintage Rose Toasting Flutes. They look as if they have been handed down for generations. 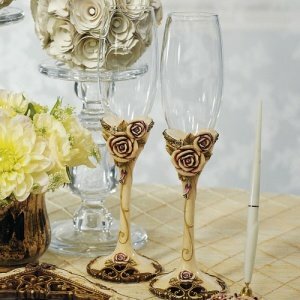 The set of two glasses have stems made of poly resin and crafted with swirls of antique-inspired bouquets of roses that are tinted the color of an innocent blush. 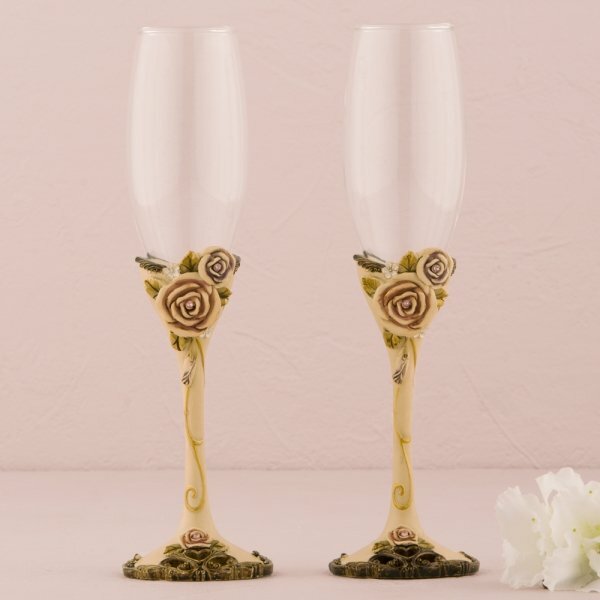 They are hand painted with elegant golden scroll work looping down the old ivory colored stem, and topped with a flute of crystal-clear glass that can be personalized with the bride & groom's names and wedding date. 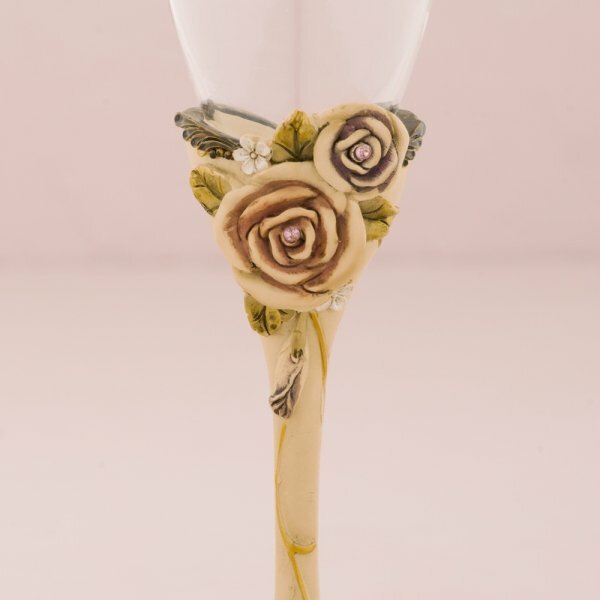 Each flute measures about 10 inches tall. 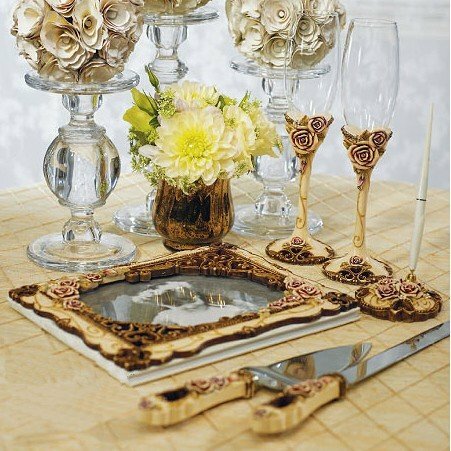 Pair this lovely set of toasting flutes with the matching cake serving set or the guest book and pen. 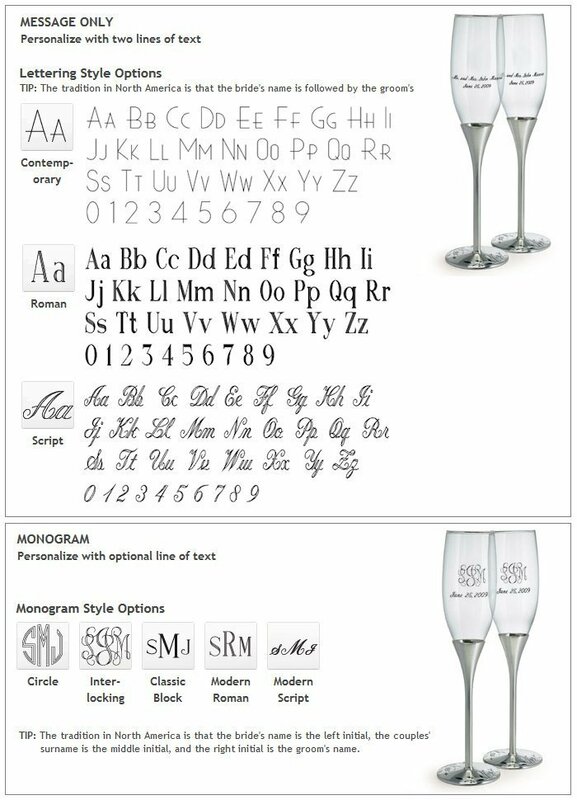 This will create a cohesive and timeless theme that will never look dated or unfashionable.